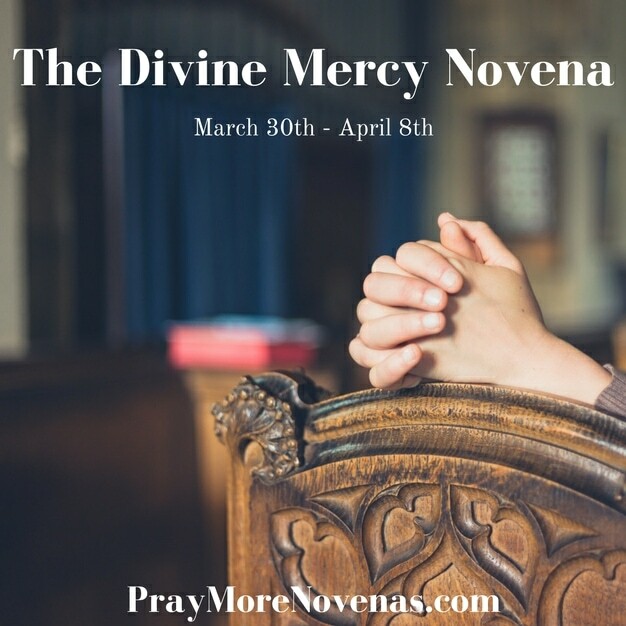 Here’s Day 4 of The Divine Mercy Novena! I pray that I can find the courage and the words to promote my network marketing business so that my husband and myself will have an adiquate income to survive in our old age. I ask this in the name of Jesus Christ. I’ve been looking for a job nearly for a year and 6 months, I’ve been giving so many interviews but nothing just clicks, I’ve been demoralised and also I have reached at that point where I have debts to pay and I can’t pay. I have been praying all novenas and been hoping for a miracle to happen. Please keep me in prayers. I also want to pray for all who are secured with a job and those who feel insecure and especially for the ones like me are looking for work. May God open a door for each of them. I pray for the healing of my Son Andrew’s spine, a 100% Healing so he may walk & give glory to God. LORD IN YOUR GREAT MERCY POUR OUT HEALINGG UPON HIM. Sr. Faustina- please support me in turning my nephew, Taylor, his unemployment, his challenges, and his lack of faith to God. I can no longer help him. He needs to know God and he needs a job that will allow him to learn, grow and support himself. He needs to learn to work with people. I also ask God to help my niece, Hilary, find love and joy. Lastly, pls Sr Faustina – help me to secure a great tennant for my rental townhouse. Thank you. I pray for my marriage and to make the right choices regarding the decisions we make and what we decide to do in moving forward. I pray for God’s will to be done for Alan and me especially with what is going on now between us. Please help strengthen us and help us to know what Your will is for us and give us the strength to accept it and do what we must. I pray to overcome my jealousies and insecurities and to learn how and what I should deal with, and handle situations more maturely and be able to move on and not dwell on things that shouldn’t matter. I pray for mom and dad’s health and for mom to feel better and not always feel so tired. I pray she could have good days, and I pray that the medication will help control and prevent her from getting and feeling worse. I pray for Emily’s anxieties to stop and that she will know what she wants to do with her life and find peace, confidence and happiness. I pray for Anthony to make the right decisions regarding what college to go to, and what he should major in. Please protect him and keep him safe and always be there with him. I pray for my family and me, that we will live long, happy, healthy lives and be happy. Thy will be done. In Jesus’ name. Amen. Lord God, Thank-You for this beautiful Lenten Season and now Easter Sunday and the 8 days that follow! I am so blessed with Your love! My heart was completely full during this time getting to know You more. I attended several services with my son, Daniel. Which brought us closer as well as closer to You. I found more Peace and Love in my home. I’m so so very grateful for all You do and continue to do. We watched the Passion on Sunday morning after Mass we also attended service on Good Friday at Our Lady of the Lake Church. Wow, so powerful, I cried knowing how Mother Mary felt seeing her Son being treated. My son Daniel always calls me Mother, I said, Daniel, now I know why you call me Mother, out of respect! I adore my 3 sons and pray they get closer to You Lord. Now will be taken care of by the almighty. Please help me Lord in my trials and the anxiety and fear I am suffering in regards to health and dental procedure needs to be done April 5, please keep me calm and let it be successful without complications. Please help my loved ones currently in need of your mercy and graces that only you can bestow upon them to heal them and bring them closer to you. Thank you Lord for the many graces you have given me and for today. Jesus I trust in you. St. Faustina please pray for us. Please pray for me to get married this year. Please pray for my husband Sidney who was just diagnosed with terminal lung cancer. We need a miracle. Dear Divine Mercy I pray that please help me guide me for my incoming nursing board exam on June 3and 4…Help me to be the topnochers with the average of 88% to fulfilled my dreams and my parents dreamed to be nurse..I trust in you..Amen .. I AM SUFFERING FROM A STROKE PLEASE HELP ME JESUS MY MOTHER VIVINNE HER FOOT IS GIVING TROUBLE PLEASE HEAL HER AMEN. Lord Jesus as we continue to celebrate your resurrection, I putting my whole life into your glorious hands so you help me with find a job, provide me with means to help my daughter, also bring a God fearing man into my life.lastly I am praying for all my friends who stepped in during my difficult time and helped me get back up,God bless them with all your grace. Pray for our son-in-law that does not believe in God and three other son-in-laws that are lukewarm to Jesus and the Gospel. Also pray for those daughters to be strong and their families to learn to love Jesus. for the repose of the soul of my father, and that my mother and all in my family find the comfort and Love of the Lord. Please here and answer my prayers. Thank you for my blessings and continue to bless us. Keep us safe. Walk with us. I offer today’s prayers for my daughter, she has been suspended from work from being sick too much, and using too many points. Pray that she finds a new job soon so she doesn’t have to move out of her apartment. Also her cat has been having issues, and she doesn’t have the money to take her to the vet. Hope her find a solution so she doesn’t have to rehome her. Lord I place my financial needs into your hands. I place my son into your hands. Lord bless him and guide him as he prepare to make some life choices.lord continue to bless him and guide him with his studies. Bless my daughter and guide her Lord. Keep her safe. Lord I life my husband up in prayer and I pray for his protection Lord..